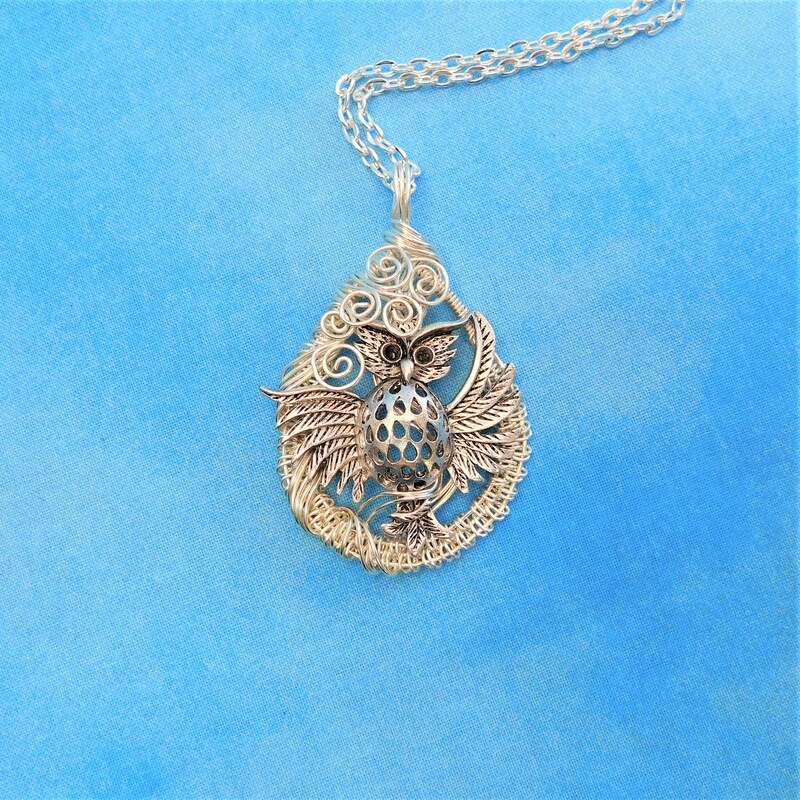 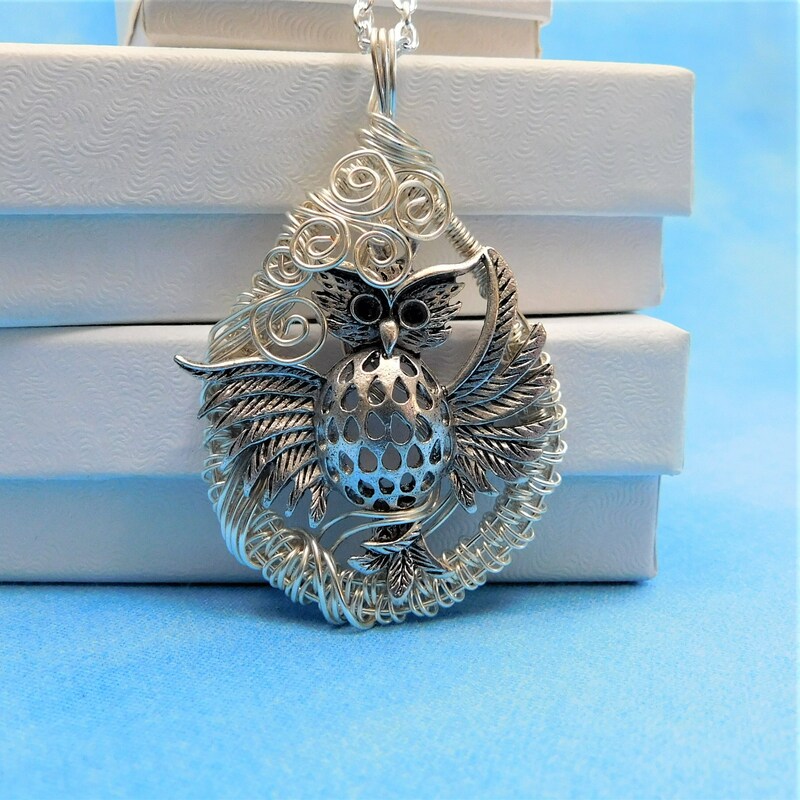 A whimsical owl flaps his wings as if landing in this hand off-loom woven and sculpted wire frame. 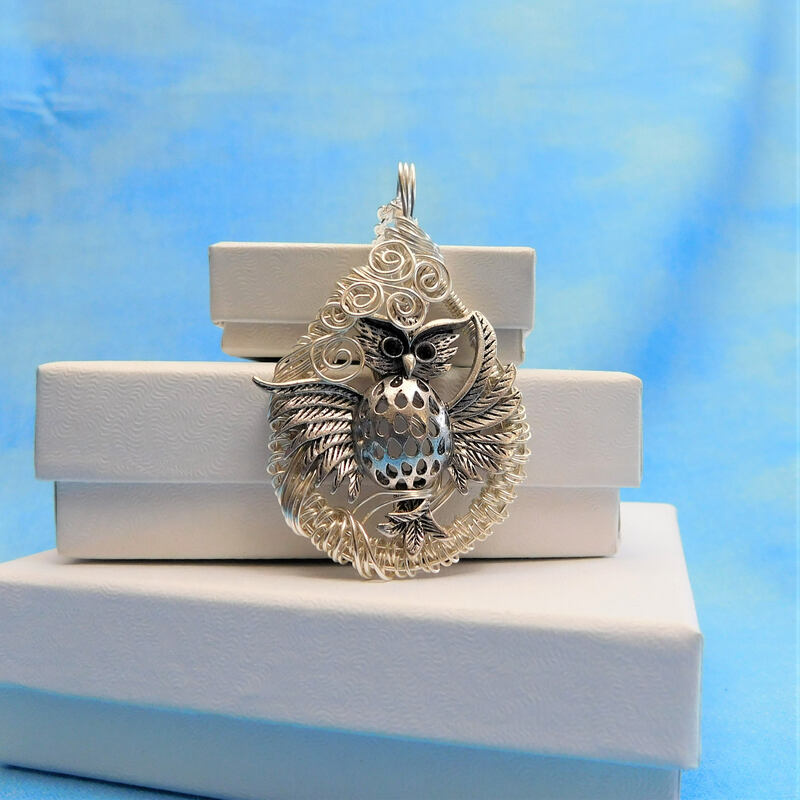 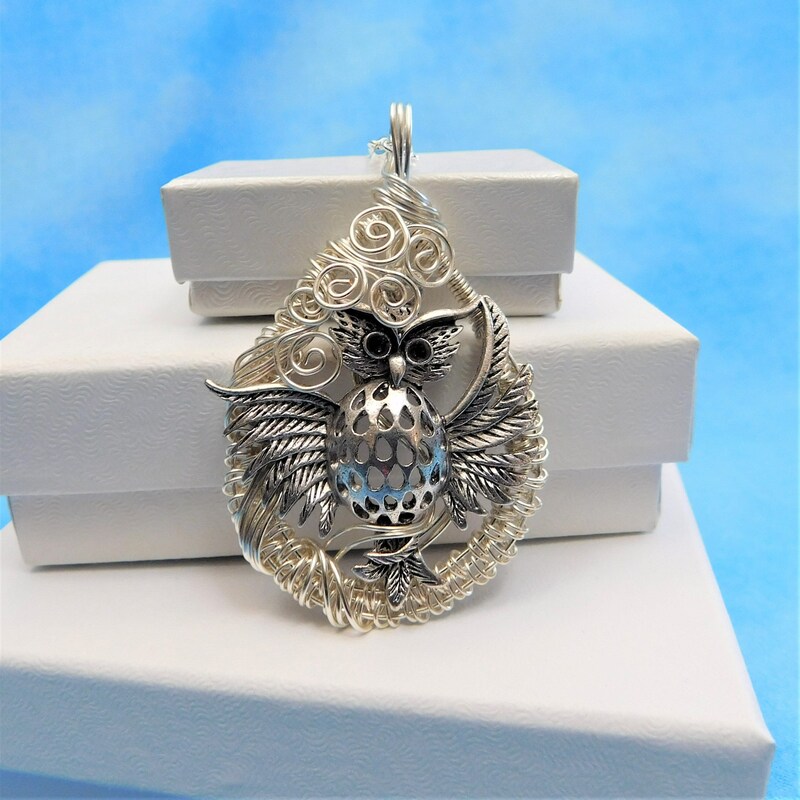 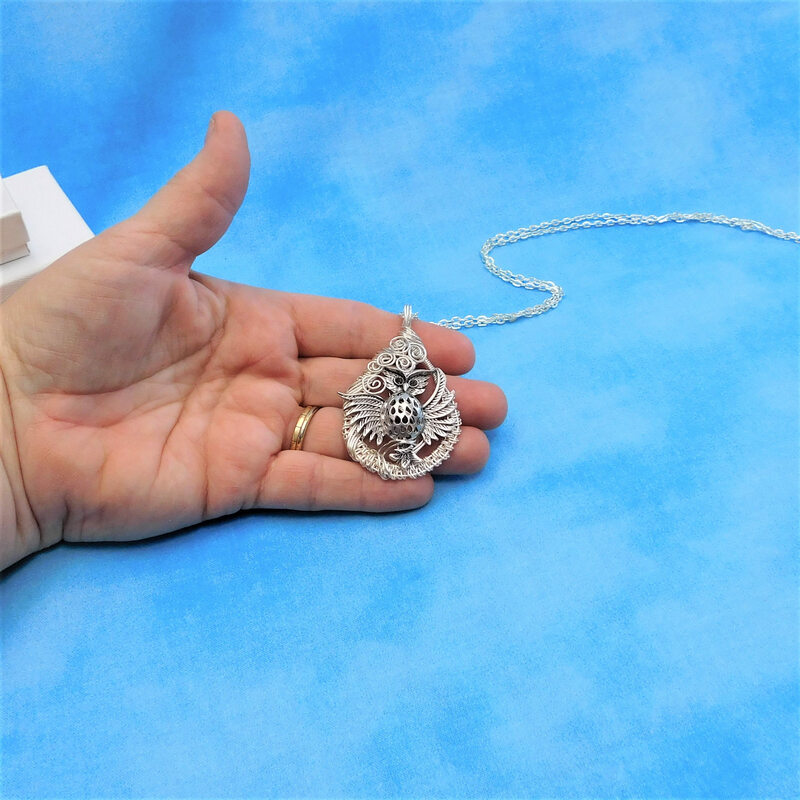 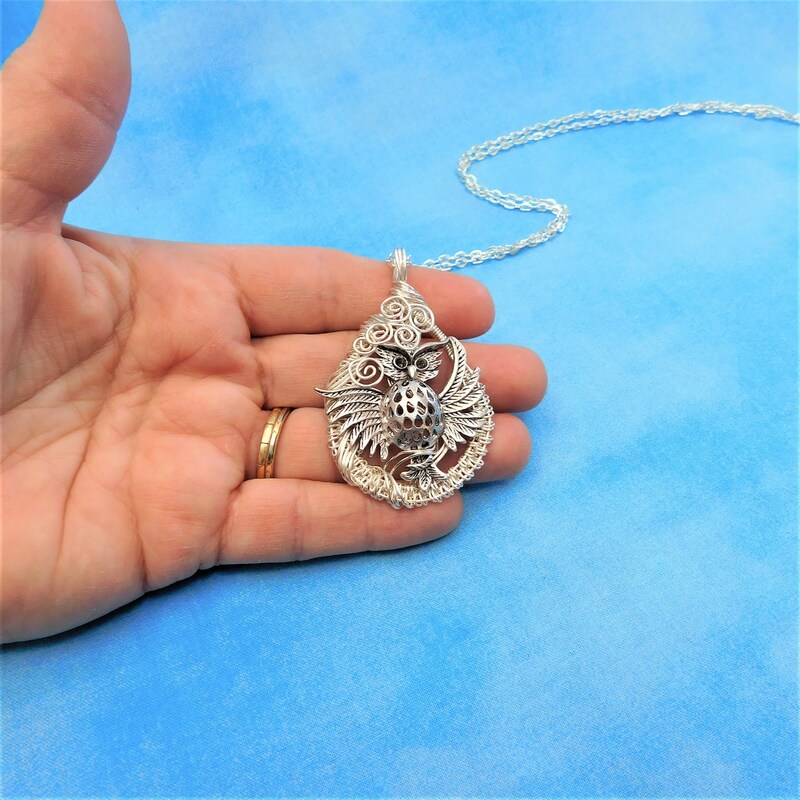 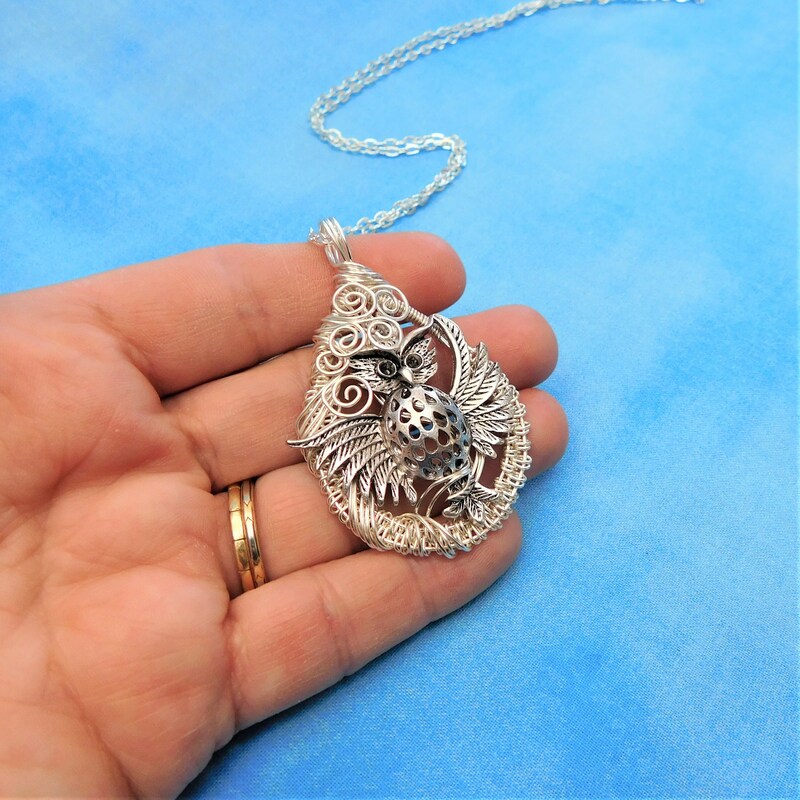 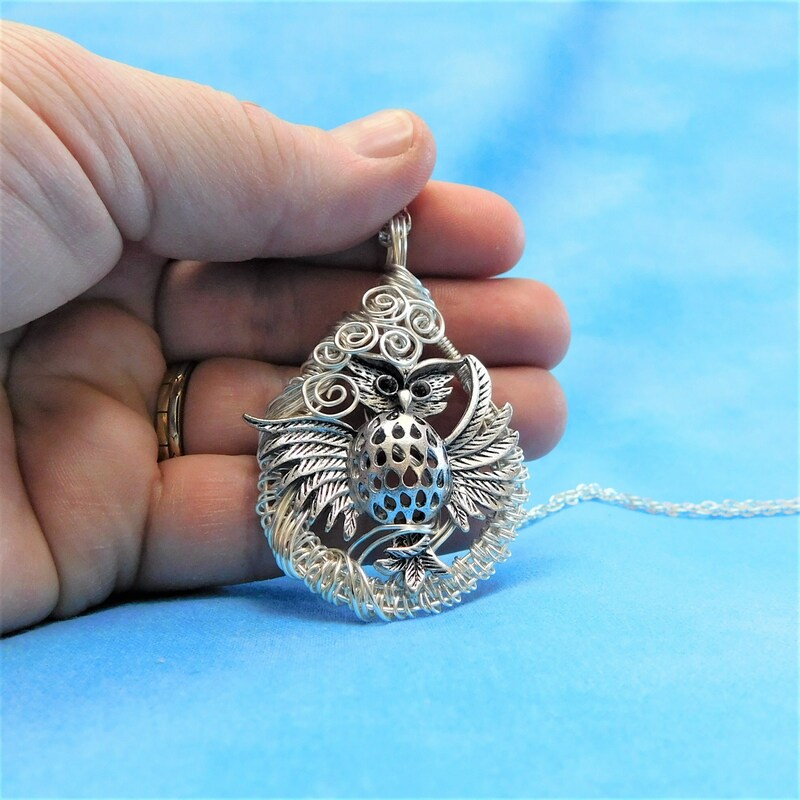 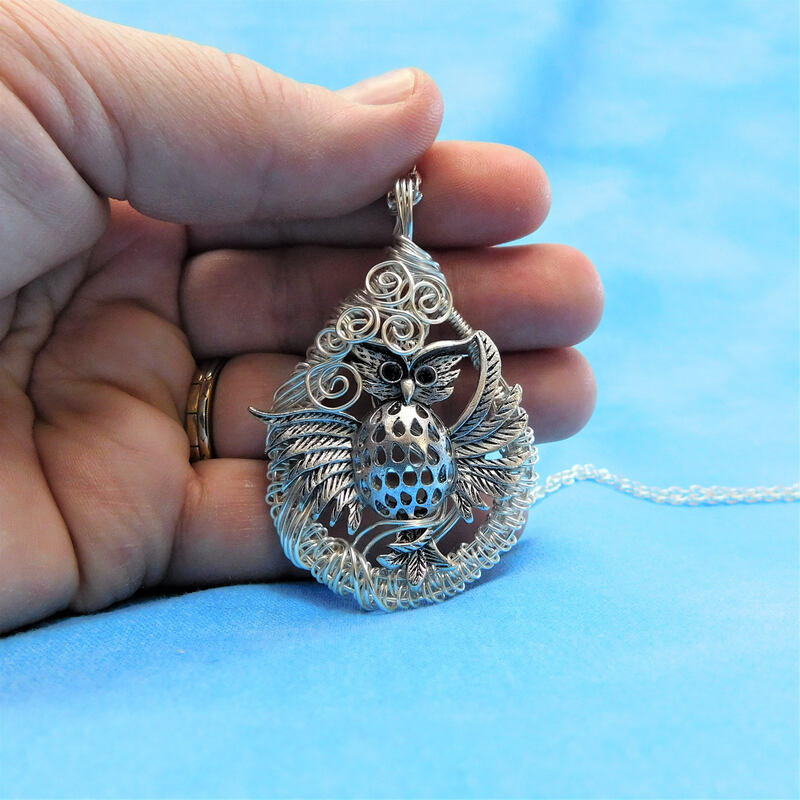 The pendant measures 2 inches high and is 1 1/2 inches wide and comes with a FREE coordinating chain with lobster claw clasp, measured to your preferred length. 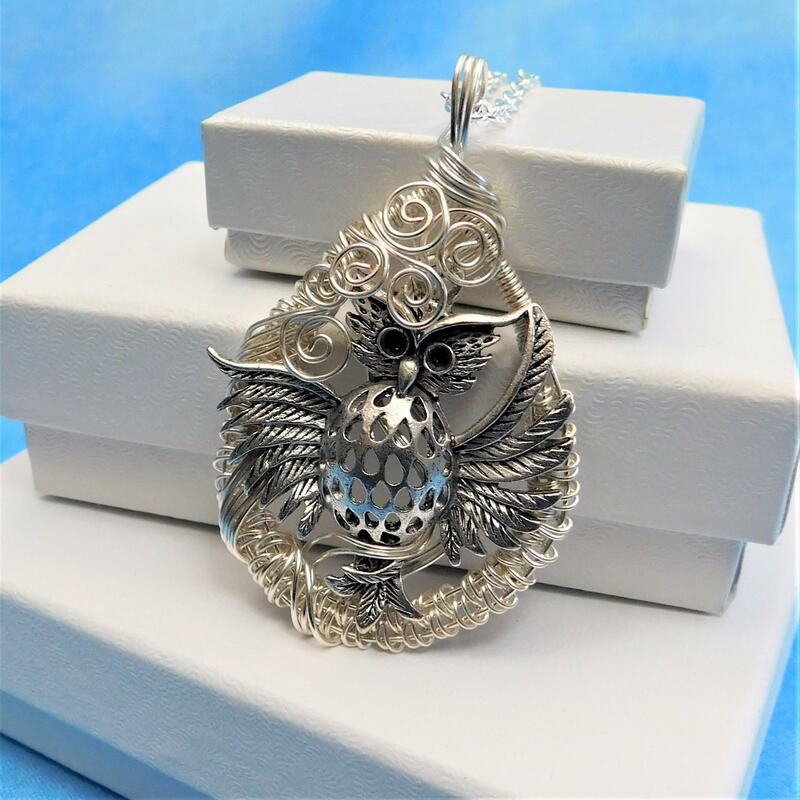 Bring this beautiful bird home and enjoy a flight of fancy with him.